Looking to gain lean muscle mass and shed some fat in the process? The chicken and rice diet is one of the best ways of doing that. This is a very healthy meal that uses the simplest of ingredients that are cooked in the most basic way possible. See how this diet can help you gain or lose weight, and shed some body fat in the process as well. The chicken and rice diet is as simple as it gets. Yet, it is a highly effective and wholesome diet. This diet is a combination of a healthy form of chicken and rice. So what does “healthy form of chicken and rice” mean? Chicken can be prepared in many ways, among the most popular is fried chicken which isn’t healthy at all. 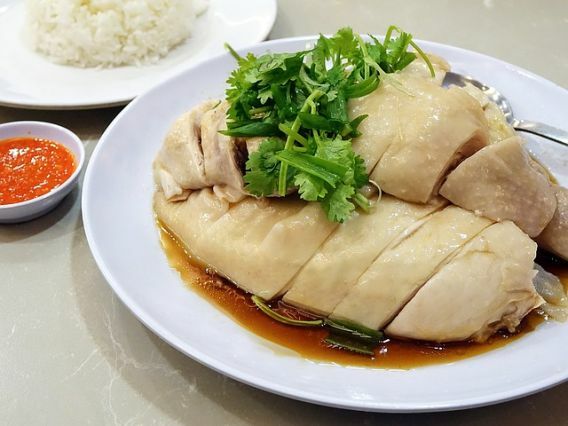 With the chicken and rice diet, you skin the unhealthy chicken preparations. Instead, you enjoy the healthier ways of cooking this protein. These including boiled, steamed, or baked in the oven. You can also enjoy them grilled. All of these are great ways to enjoy juicy, tasty chicken, without the added fat and extra unwanted ingredients. Additionally, cooking chicken this way also means cutting down on excess unhealthy ingredients. Apart from oil and the fat that comes with it, not overdoing the salt or sauces is essential. Keeping it plain and simple is ideal when using this diet. In addition to using healthier preparations of chicken, the right kinds of rice is important as well. This means skipping the less healthy white rice. Instead going with brown rice, is what’s recommended. Brown rice is often the go-to staple in this diet because it contains more fiber than white rice. Also, it is a complex carbohydrate. This makes it better for digestion as well as keeps your blood glucose from spiking too much. Another option to brown rice is wild rice, which has similar properties. Though brown rice is more accessible in most supermarkets and groceries. This diet can be used for a couple different purposes. It is primarily used for gaining muscle. This is because chicken is an excellent source of protein. Meanwhile, brown rice is a rich and starchy carbohydrate that also promotes muscle growth and gives you energy. However, this diet can also be used for anyone who is looking to burning more fat as well. 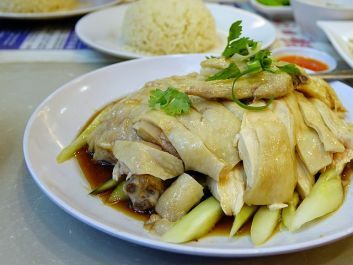 A lot of people have found good weight loss results from following the chicken and rice diet. This is of course assuming that you eat proper portions and don’t eat too much. 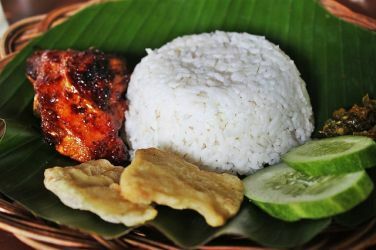 The chicken and rice combination gives you a good balance of all the essential nutrients your body needs. Plus, it has the added benefit of leaving you feeling full for longer. The meal should be prepared as simply as possible. This way, you’ll be able to get the full benefits. Take 1 cup of brown rice and boil it or steam to cook. In the same pot, you can also boil a chicken breast with some chicken broth. Pro Tip: You can cook them separately. Or, use one of those rice cookers that have a steam tray on top. This lets you cook your protein (and veggies) at the same time the rice is being cooked. This saves you time and effort. Be sure to add seasoning for taste. But, lay off any sauces or oil. Bonus tip: Some good spices to add are cinnamon, basil, cumin, garlic, and paprika. Using herbs is a much lighter and healthier way to add flavor compared to soy sauce, ketchup or gravy. If you wish, you can also bake the chicken in an oven to get extra flavor. The key is to not add any extra fat and preserve most of the nutrients (at least as much as possible). This is why boiling, poaching, steaming, baking and grilling are the preferred methods of cooking. Extra Tip: A really great tip is to add some green vegetables in the mix. Adding spinach, kale, broccoli and other greens are a great way of getting more nutrients without increasing the calories by much. Overall, the majority of this meal consists of protein, with a good amount of complex carbohydrates. You get some fiber in along with that. Including the right veggies with kick up the amount of dietary fiber in your meals. Plus, make them more nutritious. The diet is calorie dense. So, you’ll need to make sure you get the right portions in if you’re trying to lose weight. The same is true if you’re looking to burn a little fat while building plenty of muscle. The best time to eat chicken and rice is around 30 to 90 minutes after a workout. Immediately, the rice and protein work to replenish your muscle tissue after it’s been depleted, and works on repairing it. This ensures accelerated muscle recovery over the next couple days. The protein also helps build the muscle tissue. This along with the right type of workouts can help you gain muscle mass without the unwanted body fat. You’re also advised to drink plenty of water when you’re on the chicken and rice diet. This complements the fat-burning and muscle-building benefits of the diet. Plus, it keeps you well hydrated and full for longer periods. In the first couple weeks of trying this diet, you should expect to see an improvement in the size of your muscles. You’ll also notice some fat loss, if you don’t overdo the rice. During the first 2 weeks, don’t expect a huge improvement, because that takes time. However, you will already notice slight improvements. The muscles will feel rounder and more defined. You might find you’re able to lift more weight, do more reps, or have more stamina. This is really a power meal. And, something everyone who’s aspiring to be healthy should eat. People who don’t work out can eat it too. It isn’t made just for those hitting the gym or athletes. Anyone who wants to eat healthier will benefit from it. What they can expect is to feel more full, healthier, and experience some fat loss as well. Lastly, it’s not a good idea to only or even predominantly eat chicken and rice every day. You’ll probably end up hating it or getting bored. Balance it out by eating other healthy natural foods. Some of these include those such as whole grain bread, vegetables, milk, grains, beans, fish, and fruit. One small caution of chicken and rice is that it is high in carb content. So you may feel a little bloated if you eat too much. Try to eat a modest portion. If you’re trying to lose weight, reduce the amount of rice and add in some green vegetables. When done right, it can provide amazing healthy benefits.